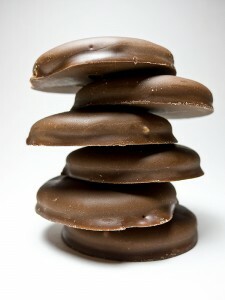 For about a month now I have been patiently awaiting the arrival of my Girl Scout cookies. It’s true what they say, the waiting is the hardest part. Well today I hit the jackpot and won the lottery. My cookies arrived. 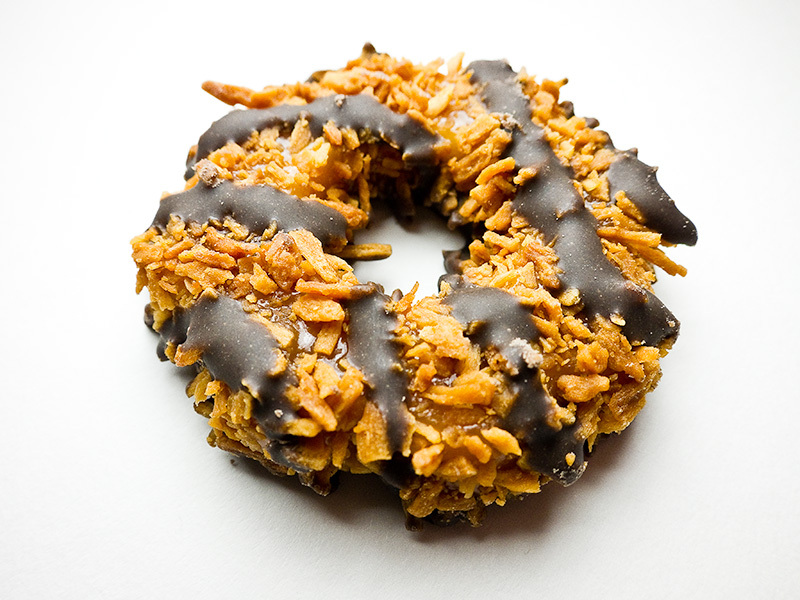 My favorites are the Tagalongs and Samoas. The Tagalongs have that peanut butter goodness and the Samoas tempt me with the coconut and chewy caramel. Both photos were taken with my Canon S90 (I’ll be writing a review of this camera soon). 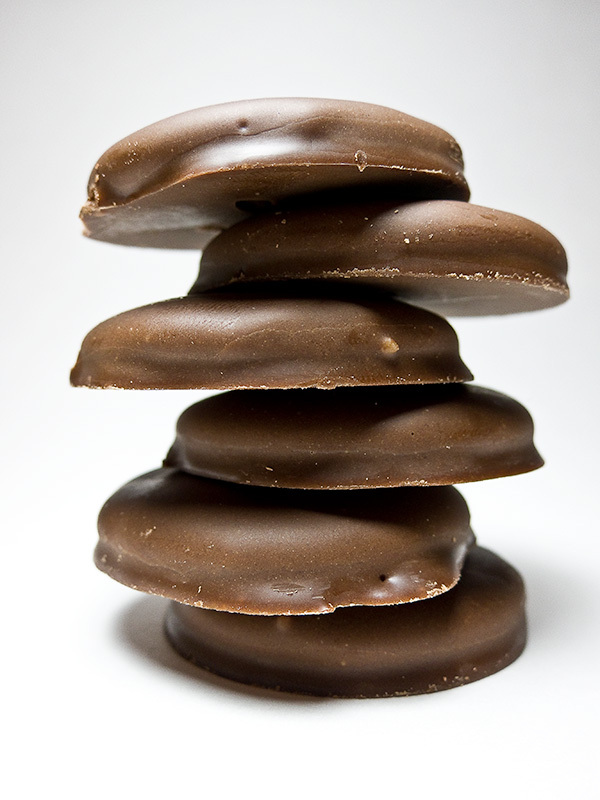 Believe it or not the Girl Scouts sell over 200 million boxes a year. I had one light high and above the pile of cookies. I also shot this with the macro mode of the camera turned on. This allowed me to focus much closer than I would have normally been able to. I used a single light above and to camera left. I also has a small bounce card to fill in a bit more on the right side. These were place on a large sheet of white paper to provide for the seamless background. Ok, enough photo talk. Time to do some eating.